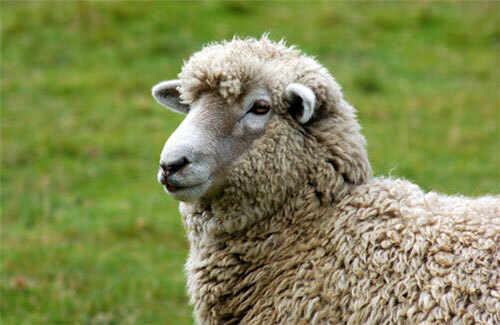 Mastitis in ewes is a sporadic disease and is usually noticed at lambing, weaning or culling. It is an important economicand health issue in sheep. The economic significance of clinical mastitis includes the potential for ewe deaths, lamb deaths from starvation, treatment costs, and permanent udder damage that can result in culling. Subclinical mastitis results in reduced milk production due to udder damage and the potential for poor growth rates or deaths in lambs due to starvation. Bacteria are the main cause of mastitis in sheep in Australia. The most common cause of acute clinical mastitis is Staphylococcus aureus, either alone or in mixed infections. Gangrenous mastitis is commonly caused by S. aureus and Escherichia coli. Chronic cases of mastitis can be caused by S. aureus, Corynebacterium pseudotuberculosis and Actinomyces pyogenes. Other bacteria include Micrococcus spp, Streptococcus spp, Bacillus spp and Histophilus ovis. Viral and fungal causes of mastitis are very rare in Australia. Stage of lactation- higher prevalence after lambing and following weaning. Suckling lambs may spread infection between ewes. Environment- improved pastures leading to increased milk production. Teat injuries- shearing cuts and lesions caused by lambs’ teeth facilitate entry of infection into the teat. Age- prevalence of infection increases with age of the ewe. Affected ewes may separate from the mob, prevent lambs from suckling, appear lame, or reduce their food intake. Lambs in poor condition may be seen, with or apart from their mothers. Hot, painful, swollen udder. Abscesses may break out of the udder (flystrike is a great risk at this stage). In chronic mastitis the udder may have palpable abnormalities. Affected ewes may be found dead from septicaemia. The diagnosis of mastitis is based on clinical examination and culture of milk samples. Consult our veterinarians as how to best sample milk for culture. There are also rapid mastitis tests available for detecting mastitis in a ewe, on the farm, before it becomes clinically obvious. These tests can be ordered. Cull or treat on the basis of animal welfare and commercial value of the affected ewe/s. Affected ewes often have permanent udder damage. Cull after weaning. In the event of mastitis, controlling the spread of the disease can be achieved by separating and penning the affected animals from the mob. This also facilitates care and feeding of lambs.